One of Hollywood's least known bit of history was that Hollywood had its own airfields, for a very short periods. 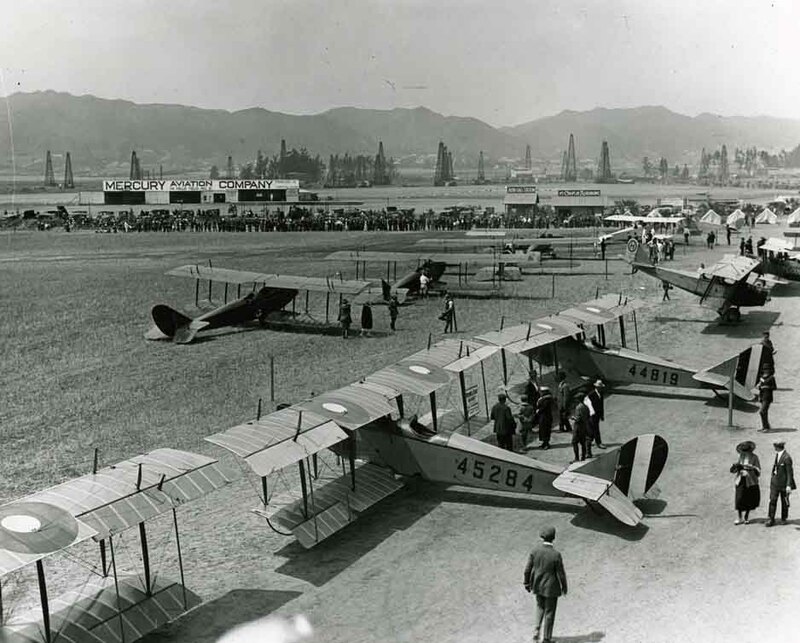 Airfields of the Hollywood aviators were often motion picture sets. 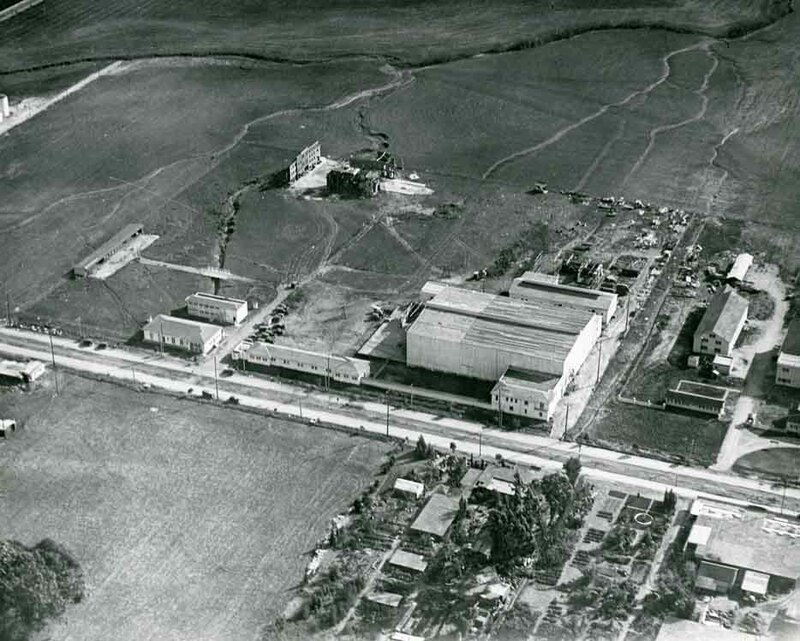 Mostly open cropland at the time, the San Fernando Valley of Los Angeles was the setting for hundreds of feature films and shorts. The largest collection of Hollywood Airfield photos is on the hollywoodphotographs.com website. The Hollywood Stars baseball team, which was a member of the Pacific Coast League from 1926 to 1935 and again from 1938 to 1957, was "a fun deal" that gave me "the best years of my life," according to Robert H. Cobb, its last president. The club was truly a civic venture which was both the pride and the pleasure of Hollywood's leading citizens. Baseball first came to Hollywood, California, in 1926, when William H. Lane moved his Salt Lake City franchise to Los Angeles. 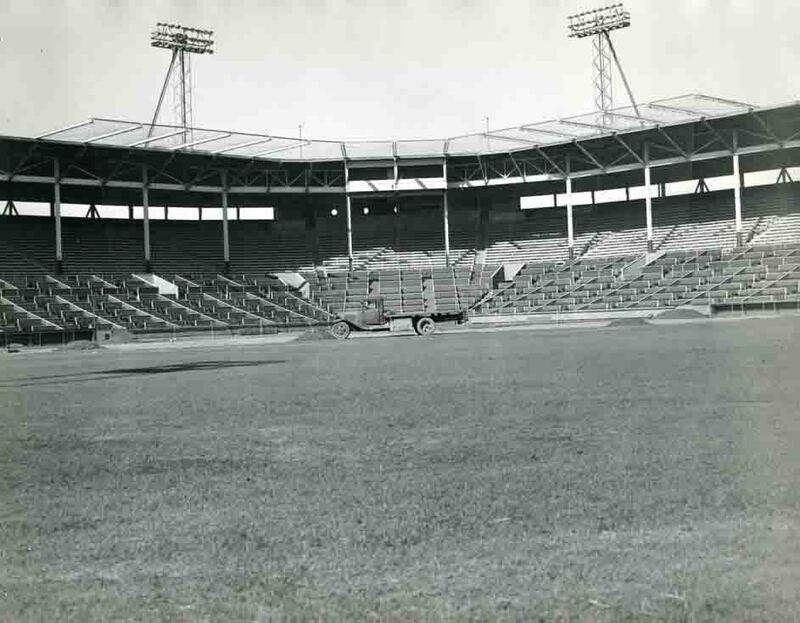 Although his club played its home games in Wrigley Field, the recently-built home of the rival Los Angeles Angels, Lane called his team the Hollywood Stars. As a result of the February, 1910 election, the residents of the City of Hollywood voted to annex their small community to the City of Los Angeles. The hollywoodphotographs.com website has many vintage and historical photos of Hollywood Fire stations and equipment. Many show the fire station on Cahuenga Ave., just south of Hollywood Blvd. The quintessential symbol of Hollywood, movie premieres have been around since the dawn of the movies. The first red carpet movie premiere took place in 1922 at the Egyptian theater on Hollywood Blvd. in Hollywood. 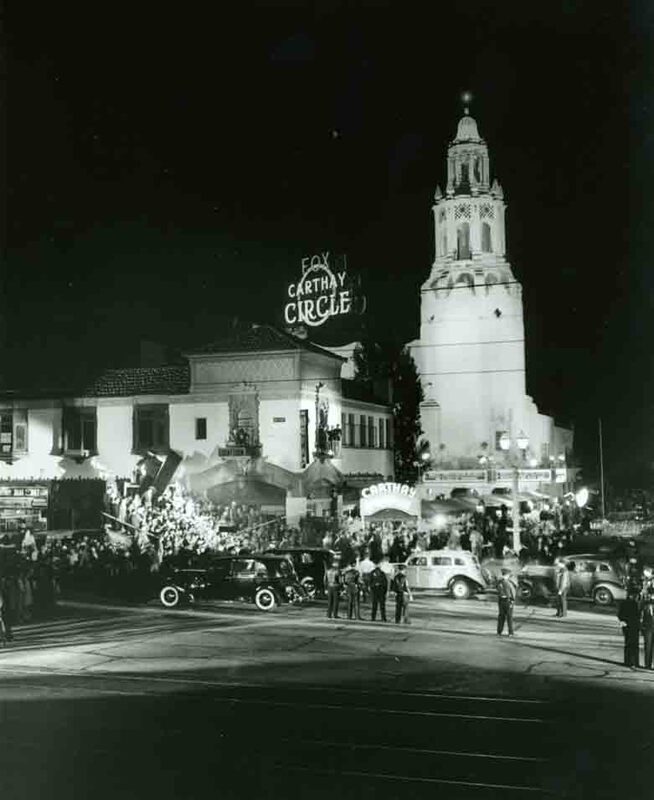 Founded by Sid Grauman, the event was not only celebrating the opening of the Egyptian Theater but also the release of Robin Hood starring Douglas Fairbanks. In 1927, Grauman opened the Chinese theatre down the street, this venue still being known as the home for red carpet events. During World War 2, premieres were suspended but came back in full force after 1945. Unquestionably, one of Hollywood's finest and most charitable institutions was the famous Hollywood studio club. Within five years from the time the first Indio settled in Hollywood, but once sleepy little community was inundated with hundreds of young girls, from all over the country, who had high hopes of instant stardom. 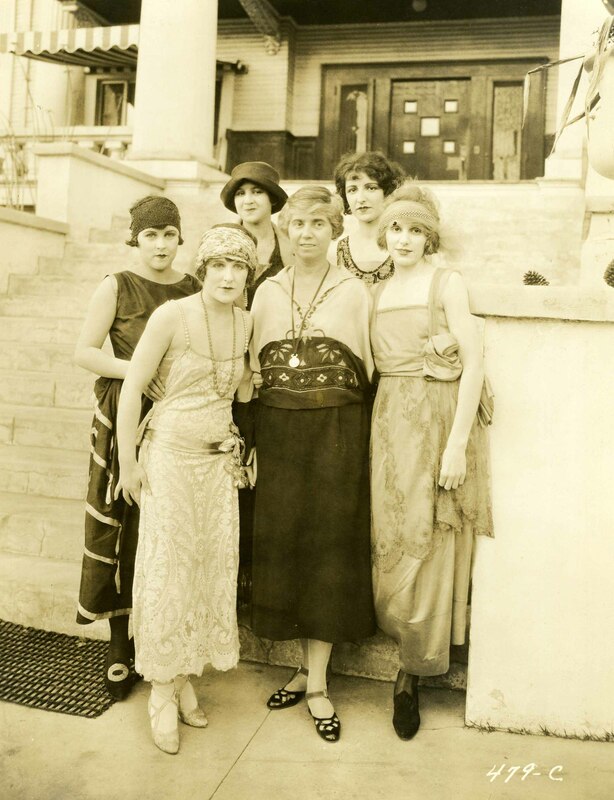 Early in 1916, a group of these young movie hopefuls began gathering regularly in the basement of the Hollywood public library to read plays together. Many of the girls were strangers, lonely as only a young girl in a strange city can be, and often were desperately discouraged.